Pupils alistened to the moving testimony of Holocaust survivor Reverend John Fieldsend as part of the school’s commemoration of Holocaust Memorial Day. Holocaust Memorial Day, held on 27 January each year to mark the liberation of concentration camp Auschwitz, is an international day of remembrance for the millions of people murdered in the Holocaust under Nazi persecution and in the genocides which followed in Cambodia, Rwanda, Bosnia, and Darfur. 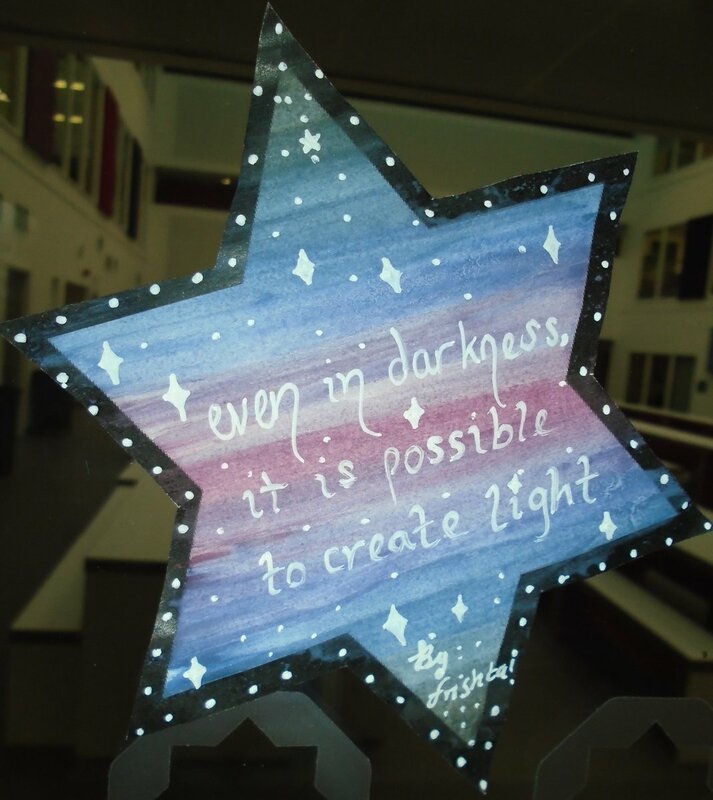 In a special assembly on 29 January, pupils heard from Reverend Fieldsend, born Hans Heinrich Feige, a retired Anglican vicar, who converted from Judaism as a young man. He recalled harrowing moments in his childhood, such as being hit and spat at in the playground of his German school just for being a Jew. Rev. Fieldsend’s family fled from Dresden to Czechoslovakia in 1937, only to find themselves under threat yet again. As the Nazi persecution became more intense, John’s parents made the heart-breaking decision to send their sons away. Rev. Fieldsend escaped Prague when he was seven, along with his brother Gert. 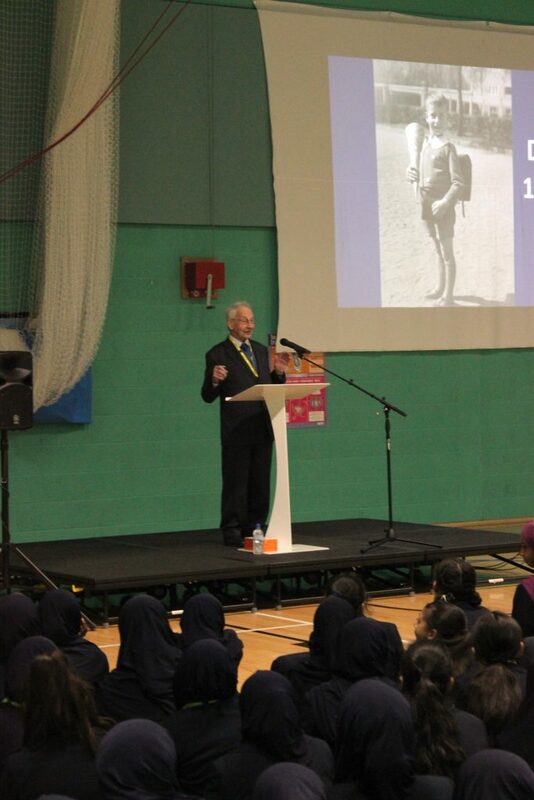 He was part of the Kindertransport of Jewish children saved by Sir Nicholas Winton, who organised the rescue of 669 children, often dubbed Britain’s answer to Oskar Schindler. It was the last time Rev. Fieldsend saw his parents. Once he arrived in England he was fostered by a family in Sheffield who he lived with until his marriage in 1961. Rev. Fieldsend finished his talk by reading a farewell letter, written by his parents in 1942, just days before they were transported to Auschwitz. The Red Cross had received the letter, and the family photo albums, and had tracked John down in England in order to pass them on. 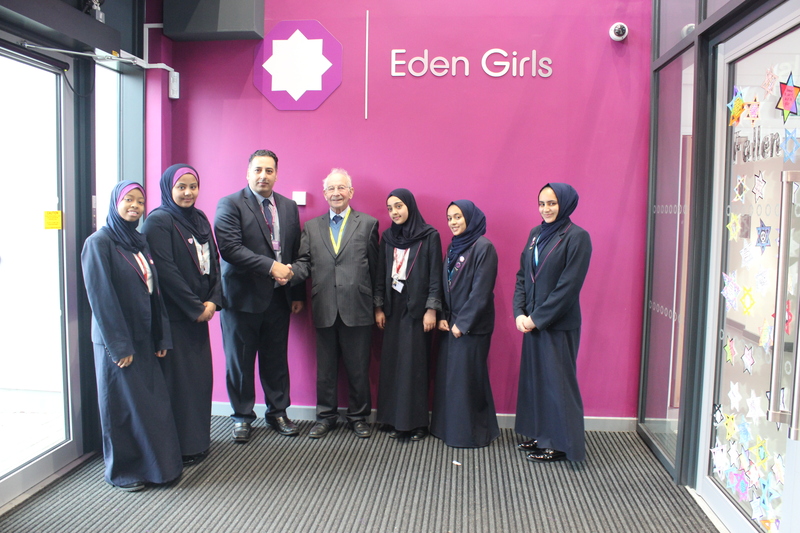 Members of the school’s Student Shura also attended the annual Holocaust memorial event in the city centre, organised by Coventry City Council on 28 January, to lay a wreath. 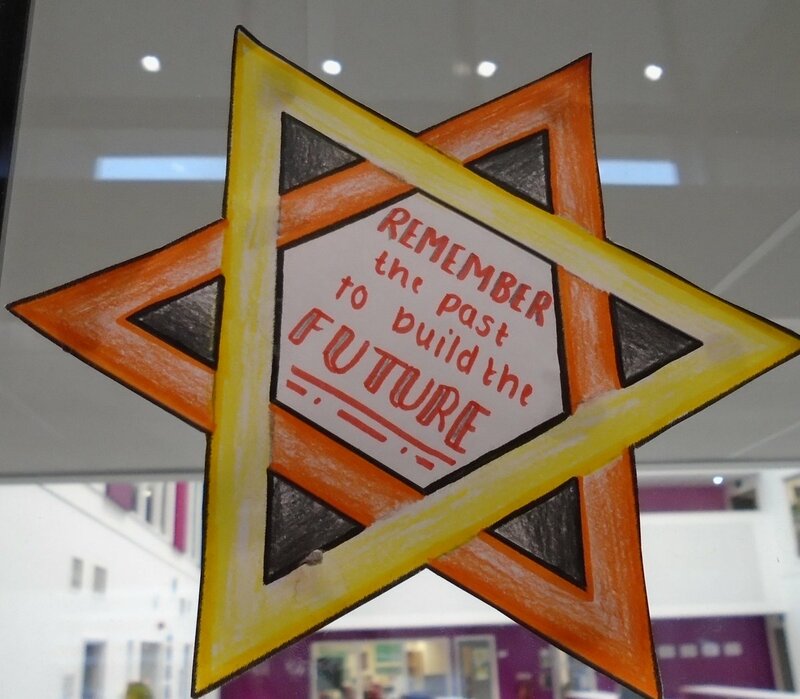 Other activities undertaken by the pupils for Holocaust Memorial Day included creating a display in the school reception area, Year 8’s took part in the Holocaust Memorial Day Trust’s Postcard Project, in which students learned about Holocaust survivors and then wrote a personalised message on a postcard to be sent to the survivors, and learning about the Holocaust in humanities lessons.